I didn't choose this theme this week, but it was a great chance to abuse the radial symmetry brush for my own nefarious cup-theme related purposes. 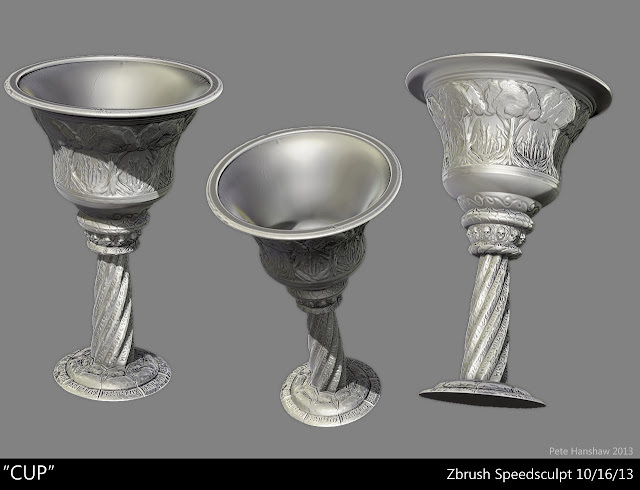 This was a true speed sculpt and was completed under the hour. Yes. Technically a goblet is still a cup.